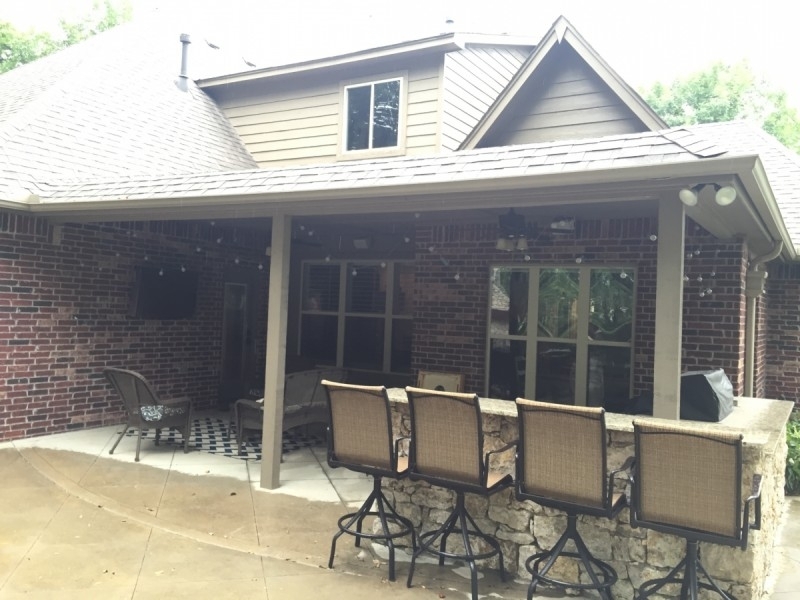 Window Cleaning Tulsa 58 | Amy Perkins: We have been cleaning Mrs. Perkins’ windows for 3 years now, ever since another one of our customers (Mrs. and Mrs. Carter) referred Amy to us. 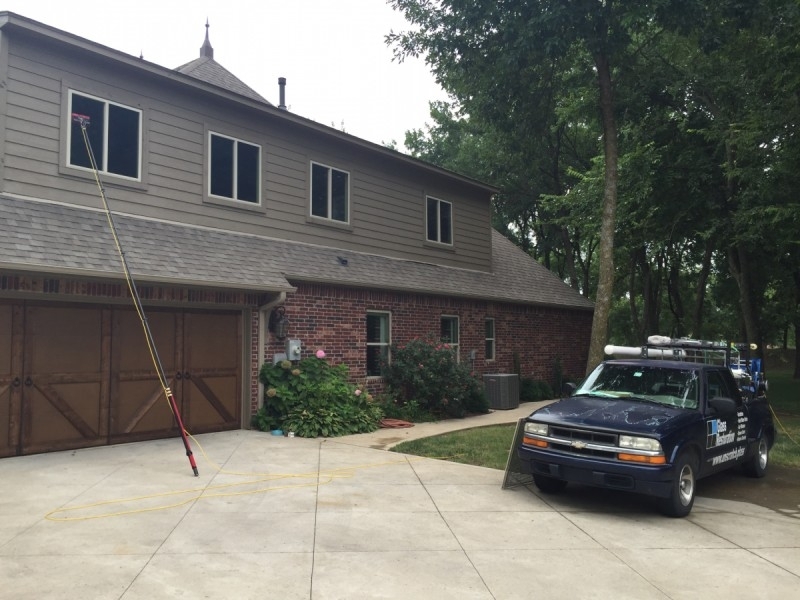 Amy gets her interior and exterior windows cleaned every 6 months. 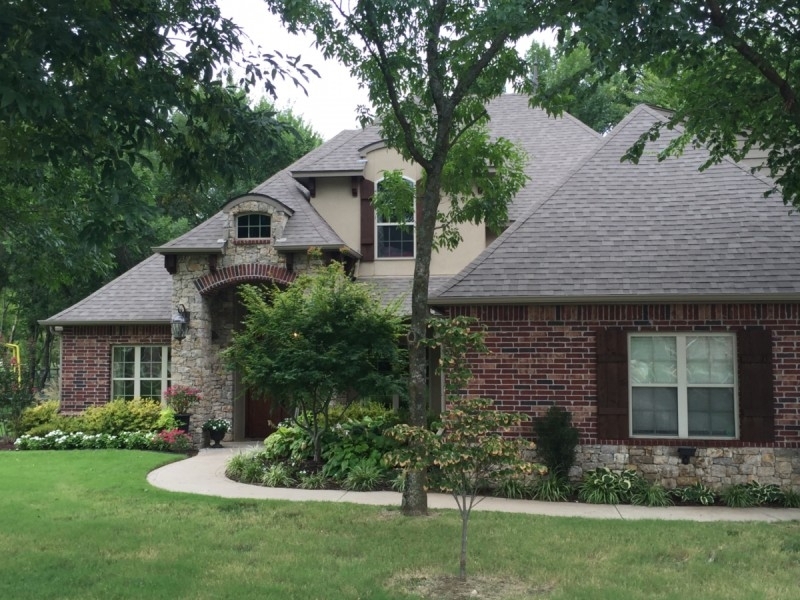 They live in Stone Canyon up in Owasso, which is one of our favorite neighborhoods to clean in. It’s a peaceful, beautiful neighborhood, and cleaning there is always a treat. Mrs. Perkins’ dad is one of the four Elders at Stone Canyon Church of Christ, and a couple months ago they were in need of window cleaning services at the church. I’m not quite sure how it went down, but it sounds like Frank must have asked Amy if she knew of any good window cleaning companies. Of course, she told him about us! So, will be maintaining their entrance windows every month, and the rest of the windows on a biannual basis. The pictures below were taken a little over a year ago. They have just been sitting on my computer for the last year because I’ve been so busy here at Gleaming Glass that I haven’t had time to upload the pictures along with a description of the window cleaning project. This was back when I still had “Old Blue” the blue Chevy S10 shown in the picture. That truck was tiny! It was like driving around a golf cart everywhere, but this was no ordinary golf cart. They had incredible hauling capabilities. I was able to fit nearly all of my window cleaning equipment on that truck. It may have been loaded way over carrying capacity, it still ran like a champ. I’ll always have fond memories of that truck seeing it allowed me to start this window cleaning business back in 2011. Welp, this window cleaning project post turned into more of a tribute to “Old Blue”… So be it! I’m going to miss that truck with all of it’s flaws, peeling paint, oil leaks, creeping doors, etc. hahaha!